When I am doing laundry at the end of the day, I find all manner of things in pockets. When grilled, my kids will always tell me it is a treasure they are saving for later. In much the same fashion, Pocket for your Android device does the same thing for just about any content you can find online: articles, videos, Tweets, etc. If you put it into [your] Pocket, whatever you saved is ready when you are –you don’t even need an Internet connection. 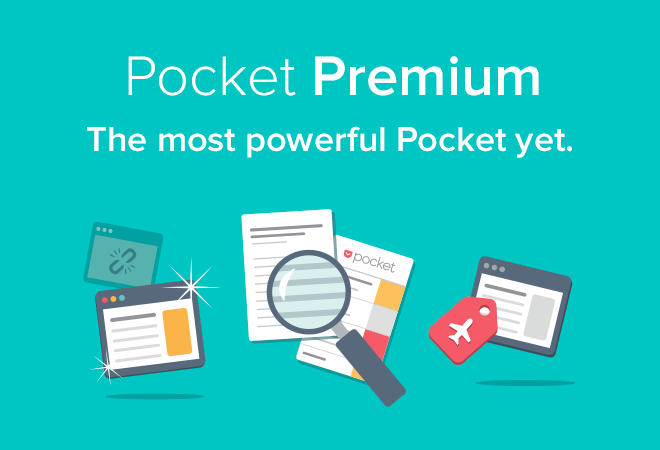 To further extend the usefulness of this app, Pocket is now offering a premium service that keeps a copy of the items you save in a permanent library (which means that your copy stays the same even if the original resource is deleted or changed). Other features come with the premium subscription, such as a faster and more powerful search (which comes in very handy once your Pocket becomes more and more full) and a tagging system to help you access content easily later. I suggest tagging things like recipes, or creating tags for people you chat to regularly –I’m always trying to remember to mention something I read when I’m next talking to my mother or sister! Subscription prices come in at $4.99/month or $44.99 a year and can be purchased directly from their website. With over 11 million users having pocketed over 850 million items, if you haven’t tried this app yet… it is time to start.